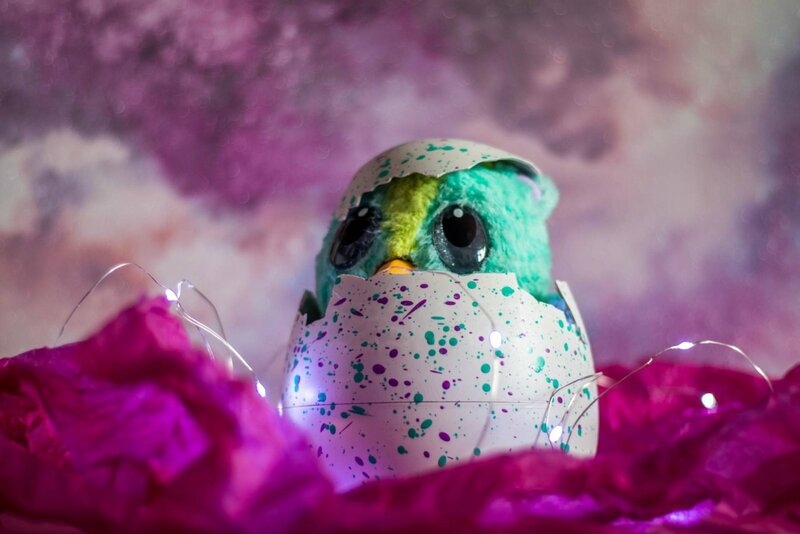 We’ve had an exciting new arrival to the family this week, our very own Hatchibaby – the newest member of the Hatchimals family. 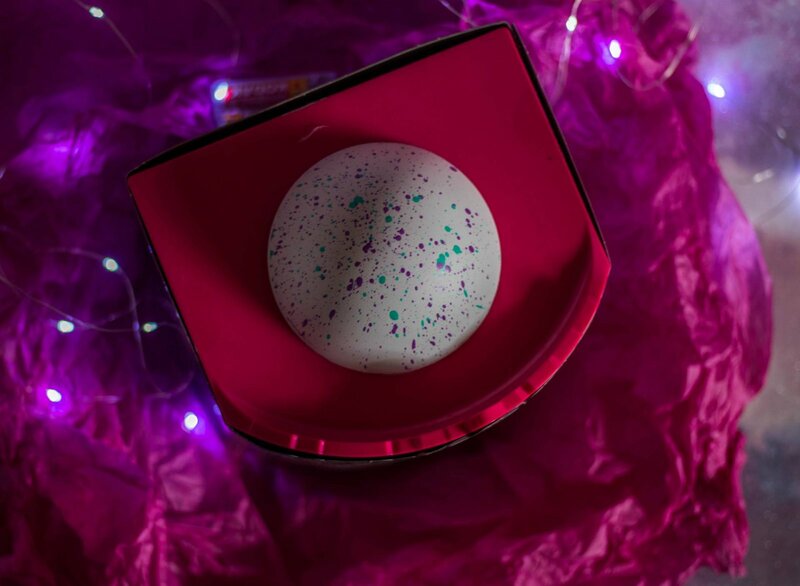 Luisa was absolutely beside herself when she first laid eyes on the big colourful box and full of wonder when the egg began to interact. 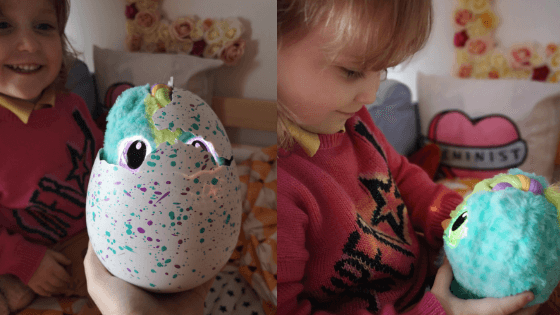 Read on to find out how we got on with our new little one as well as everything you need to know about how to care for Hatchibabies. 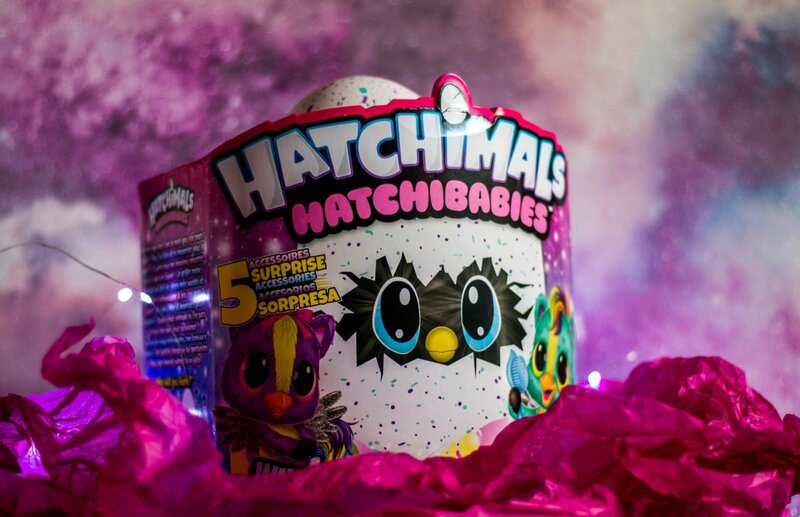 Hatchibabies are launching in stores and online today, the entire range is full of surprises. 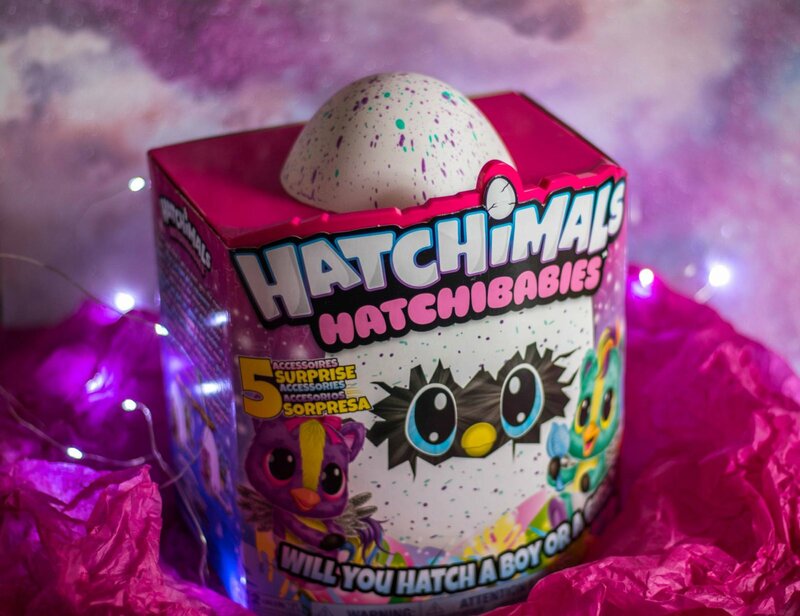 When you pick out your Hatchibabies egg you won’t know the species or gender, you’ll have to wait until they hatch to find out who you’ve got. The two main species are Ponette and Cheetree but there are also three in-store exclusives – Chipadee, Monkiwi and Koalabee. Just like real babies, they respond to being fed, burped, tickled and snuggled. When you first take your Hatchibabies egg out of the box you need to remove the twist locks from the base of the egg. If you don’t remove them the Hatchibabies won’t turn on. At this stage I reccomend grabbing all the paperwork and setting it aside somewhere safe as you’ll likely want to refer back to it shortly. Especially if you have an impatient little one who needs to know how to look after their new arrival right now. 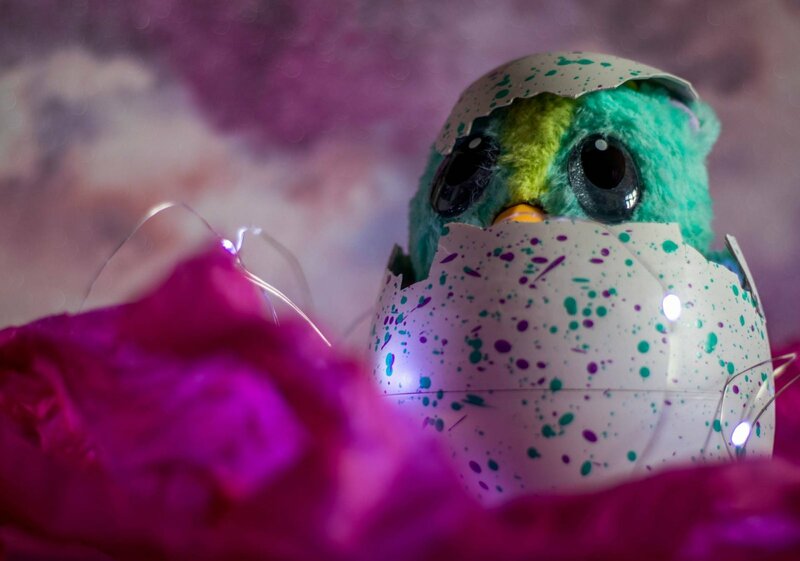 Once you remove the twist locks your Hatchibaby will start to interact with sounds and movement, you’ll see it’s eyes light up and glow through the egg. Congratulations, you’re a Hatchiparent!! At first Luisa was a little unsure and nervous, as she often is when excitement is at peak levels. 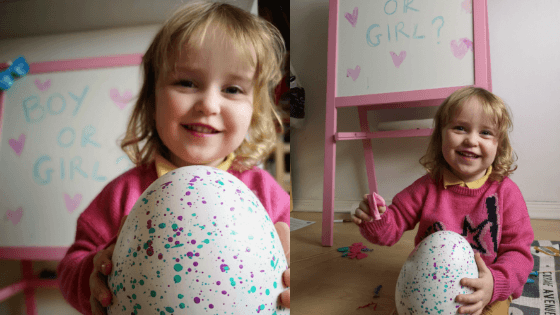 Once I explained what was to come next and let her have a good look at the cute egg she was ready to get involved again. Please forgive the phone photos below! Luisa was far too excited to play to tolerate a giant camera during this stage. You might think that this in-egg stage is fairly passive but you’d be wrong. 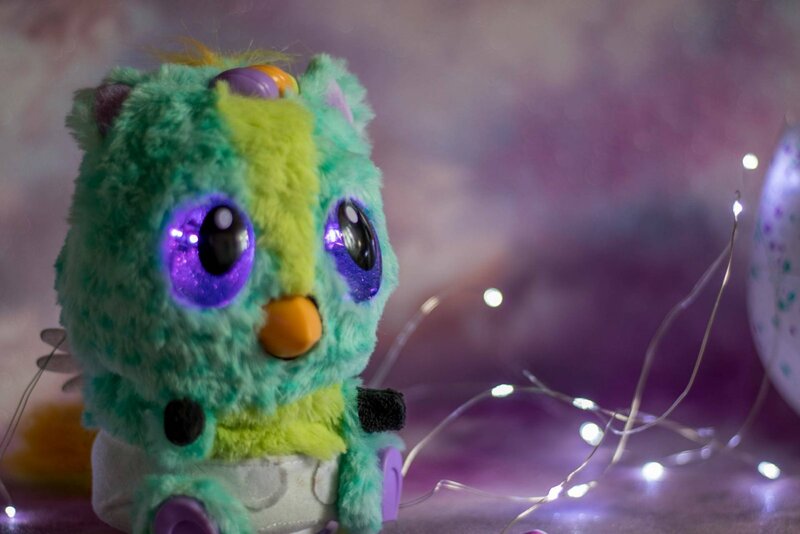 The different colours that your Hatchibabies eyes glow denote different moods and needs. It takes up to 25 minutes for the hatching phase to finish and you need to be interacting with the egg to encourage this. If you want to pause the experience at any time hold the egg upside down for 20-30 seconds. When the lullaby music stops your egg is asleep and you can set it down. 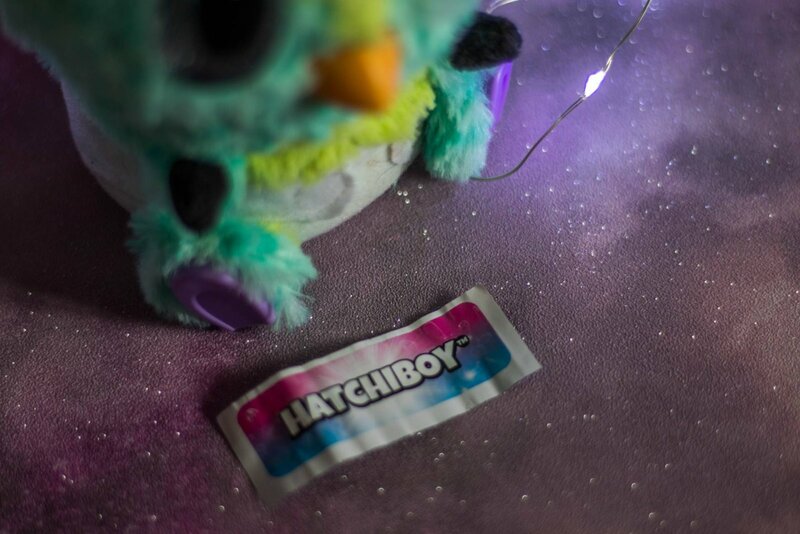 Even whilst they’re in the egg you need to decode the Hatchibabies needs and respond to them by rocking, rubbing, patting or tilting the egg to interact with it. White eyes mean your Hatchibaby is sleepy. To put to sleep tilt or and rock the egg from side to side. If your Hatchibabies eyes glow pink you can listen to the heartbeat, hold the egg close and listen. Our Hatchibaby started to hatch after about fifteen minutes, Luisa and I were both so excited. Whenever our Hatchibabies eyes started to glow multicoloured I knew it was time. 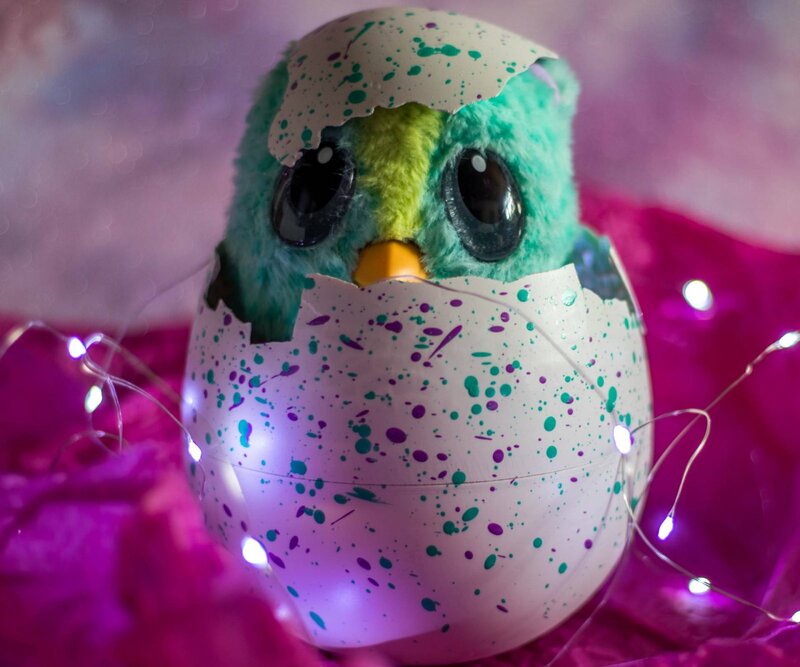 We had both been enjoying tapping the egg and waiting for the Hatchibaby to respond, I think that helped it to hatch quickly because we had so much interaction. Keep rubbing the bottom of the egg to encourage hatching. At one point our Hatchibaby stopped making progress and we could hear it panting. 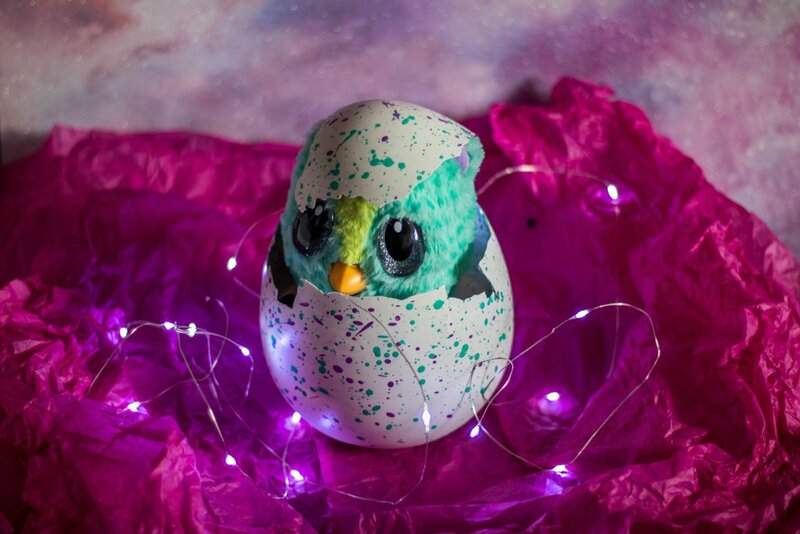 Luisa held the egg to her ear and could hear a little heartbeat, soon after the hatching started again. If yours stops and you hear pecking instead of panting tap back and it’ll start again. Once your Hatchibaby finishes hatching it’ll sing Happy Birthday, you can break any remaining egg away and pull them out. You’ll see a tiny scroll underneath, pull it out and find out whether you’ve got a boy or a girl. Our Hatchibaby is a boy Ponette, I can’t lie Luisa was a little disappointed as she said she needed a ‘sister baby’. Drama drama! Thankfully she got over it and started playing with Ponette whilst I figured out how to take care of him. 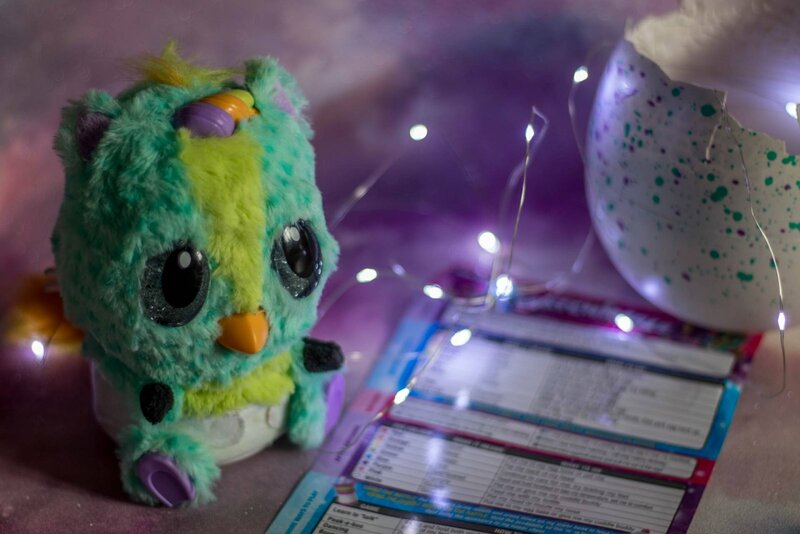 All the Hatchibabies come with five accessories including a bottle, rattle, cuddlebuddy toy, hairbrush and a highchair. You’ll find them inside the egg, within little compartments that you peel open. You can then pull out the plastic accessory holder and use it as a highchair. If the highchair gets stuck or is difficult to get out try twisting it. If you want to feed the Hatchibaby put the bottle in its mouth and press down on its beak. Careful not to feed it too much of you’ll have to burp it. Unfortunately for our poor little one Luisa loves to feed him! Using the cuddlebuddy toy and rattle is really simple, just put them to Hatchibabys chest and make sure the H is facing you. Just like the in-egg phase the hatched Hatchibabies eye colour represents different needs you have to respond to. 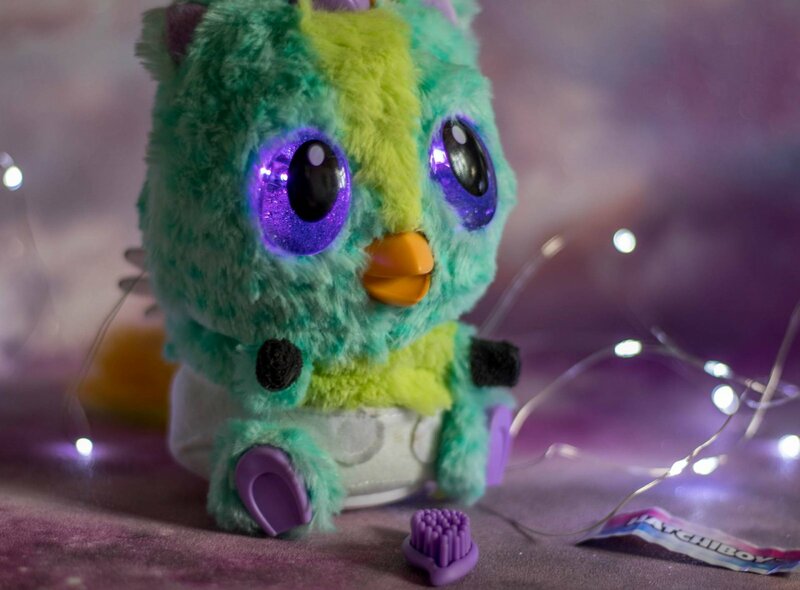 To look after the Hatchibaby you’ll need to interact with them by petting, holding, feeding or tickling their feet. 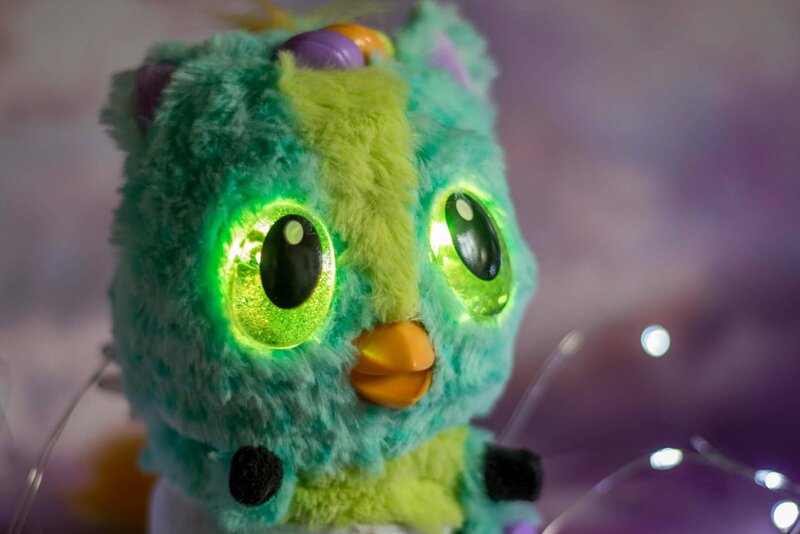 Red eyes mean your Hatchibaby is upset, put them in the egg base for a timeout or pet them. Orange means gassy, burp it by patting the back of its head. Hatchibabies with yellow eyes are happy, keep playing with them, tickle their feet or play a game. Green eyes mean that your Hatchibaby is sick. Touch and hold their forehead to take its temperature and then pat it to help it feel better. Blue means sad or scared, pet your Hatchibaby or give it the cuddle buddy. When your Hatchibabies eyes are white they’re sleepy. You can rock them to sleep, put them in the egg base or give them their Cuddlebaby. Pink eyes mean they’re feeling cuddly, pet its head or nuzzle its nose. Purple means hungry, feed it with its bottle and watch out for gas next. There are five extra special ways to play with Hatchibabies. You can teach them to talk by holding both feet and recording your voice so they can repeat what you’ve said. Whenever you give your Hatchibaby it’s rattle they’ll sing and dance. Try covering their eyes with your hand, once you take them away you’ll hear “peek-a-boo”. 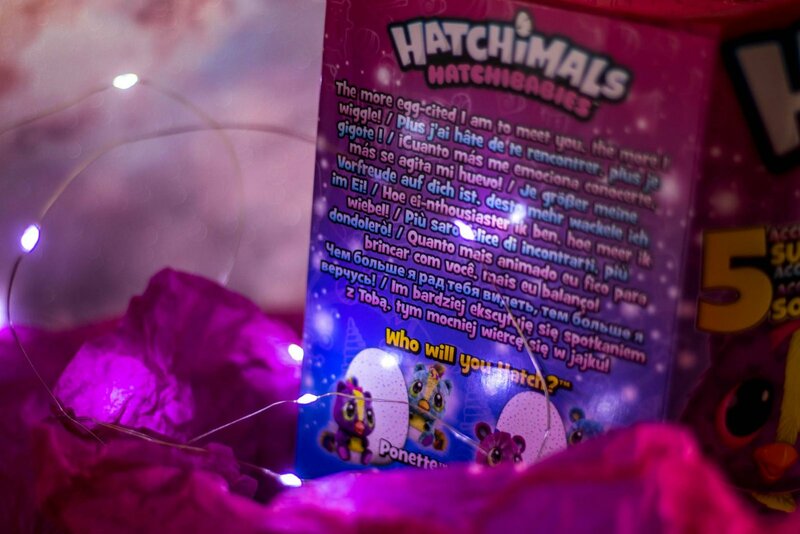 Visit the Hatchimals site to find out more ways to play and how to unlock your Hatchibabies secret trick! Join me on Twitter today at 6pm for the #HatchiBabies twitter party, you can find out even more about the new range and even win your own!